Apart from the buzz, what does caffeine actually do to us? Do you consider yourself a drug addict? You just might be. There is a psychoactive drug that billions of people are addicted to, and it’s called caffeine. Coffee, tea, chocolate and energy drinks keep our planet buzzing. But do we really know what we are putting into our bodies, and what effects this might be having on us? Long before humans discovered its awakening and addicting powers, plants had been producing caffeine as a weapon against insect attack. The dose of caffeine in plant leaves is toxic to insects, keeping them from munching. When these leaves wilt and drop to the ground, caffeine spreads in the soil, hindering the growth of plants nearby. In addition to warding off insects and crippling plant peers, scientists found that plants are using their slightly caffeinated nectar to seduce bees. The ability to produce caffeine didn’t evolve just once; tea and chocolate both converged upon it separately, and recently it’s been discovered that coffee came upon it in a third evolutionary route. This shows caffeine is indeed a valuable commodity across many types of plant. As people around the world discovered caffeine in their native vegetation, various cultures concocted drinks or chewed on the plants’ leaves to experience its effects. More recently, caffeine is placed in a whole slew of products: energy drinks, pills and gels. 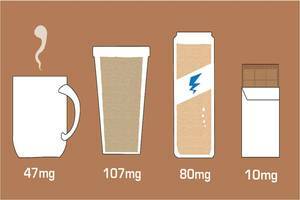 These provide a wide range of caffeine concentrations ranging from just a few milligrams to over a hundred per ounce. 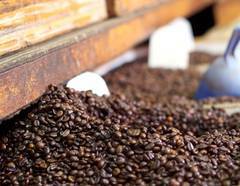 Now caffeine is a multibillion-dollar global industry. 90% of the world consumes caffeine daily and in each of those billions of humans, caffeine spread itself throughout their bodies and enters their brains. As you’re sending sad glances to your empty mug, the caffeine in your body is being broken down by the blood-purification organ, your liver. If you are cramming for a test all night, you want that caffeine to be floating around in your body beyond the hour you spend procrastinating on Facebook. So how long does caffeine stick around in the body? The half-life of caffeine, or the time it takes of half of it to be broken down, is between five and six hours on average in adults. Pregnant women, women on oral birth control, and anyone who has alcohol in their system take longer to break down caffeine, whereas regular smokers feel the effects for a shorter time. As the caffeine gets broken down, what does it become? Pure caffeine is a powerfully bitter white powder. It is part of large group of naturally occurring compounds called alkaloids, which includes a handful of other popular hard drugs like psilocybin (shrooms) and lysergic acid diethylamide (LSD). Many alkaloids, such as atropine and quinine, are used for medical purposes. 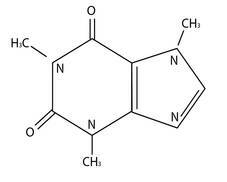 Within alkaloids, caffeine is a xanthine. Interestingly, xanthine has a similar in structure to two of four letters of the DNA alphabet. When the liver metabolizes caffeine, it either pulls off one of three dangling methyl groups (a carbon atom surrounded by three hydrogens), creating one of three new stimulants: theophylline, theobromine or paraxanthine, or it oxidizes caffeine into uric acid. To what degree and in what ways caffeine’s metabolites are responsible for its effects is unclear. Caffeine jumps the fence that protects the brain, the blood brain barrier, as if it weren’t there. Caffeine is a sneaky con artist that resembles one of the signaling molecules in the brain: adenosine. Adenosine normally takes drowsiness messages between brain cells, but when caffeine is around, adenosine can no longer signal to the blocked adenosine receptors. In other words, caffeine doesn’t press the gas; it blocks the brake!. Knowing this mechanism of action is fine and dandy, but it does not tell us which signaling systems this is disrupting in the brain. Blocking adenosine receptors means a downstream effect on many different neurotransmitters and this is important for caffeine’s ultimate effect on us. Researchers haven’t completely pieced together caffeine’s molecular effects, but the drug is purported to boost dopamine, adrenaline, acetylcholine, and serotonin. So if caffeine is affecting the brain in so many ways, why isn’t caffeine powder being snorted alongside coke or shot alongside heroine? Caffeine does cause dependence, as the brain creates extra adenosine receptors. When you make a resolution to give up coffee, you feel extra drowsy because adenosine has more receptors to act on. Caffeine withdrawal kicks in, causing headaches, fatigue, irritability and other glorious symptoms. Now that you have some awareness of what caffeine is doing to your brain and body, try not to overdue your intake. On a societal level, perhaps we should emulate John Oliver’s #showusyourpeanuts and call for regulations that clearly label caffeine content.